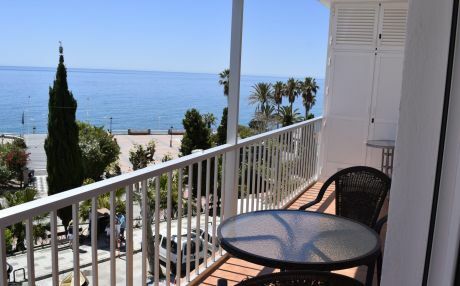 Nerja is a charming coastal town 60 km from Malaga, in the heart of the Costa del Sol, right between the sea and the mountains. 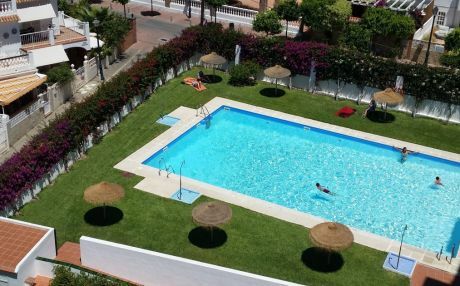 The population has almost 25,000 inhabitants, and each year receive thousands of visitors who come to enjoy the climate and beaches of southern Spain. 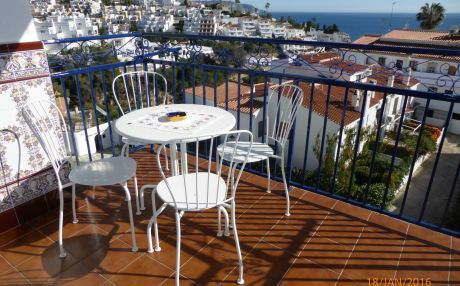 Nerja is a cozy and charming city; its streets, its people, its traditions and its gastronomy do not cease to amaze the visitor. The first thing to do when arriving in Nerja is get to Balcón del Mediterráneo, which is a total must see. 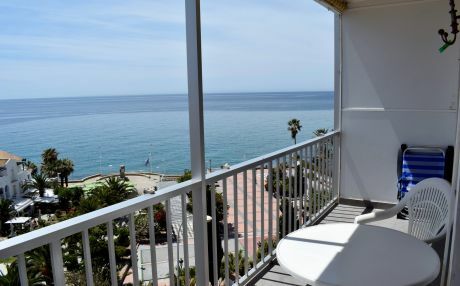 We cannot describe in words the sensation of looking out at this fantastic viewpoint and enjoy one of the most beautiful panoramas of the Costa del Sol. After visiting the viewpoint, you can stroll to Parque de Verano Azul. This is where a famous series that marked the lives of an entire Spanish generation was shot in the 80's and where now we find a beautiful square with a boat in honor of the series. 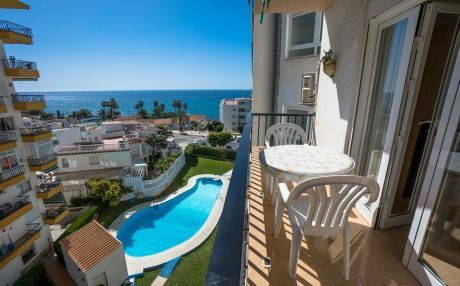 Nerja holds 10 wonderful beaches along its 14 km of coastline; an abrupt coast where we find great cliffs and wild beaches such as la Caleta, Acantilado de Maro, Torre de Maro, Molino de Papel, las Alberquillas, Cala del Pino and Cala El Cañuelo. 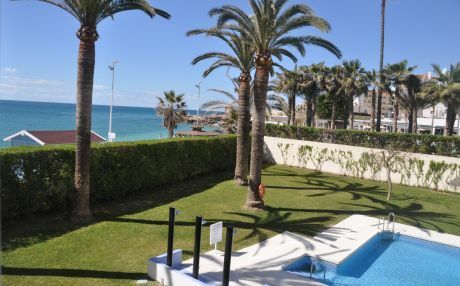 There are also great sandbanks like the famous Playa de Burriana, Calahonda or el Salón. 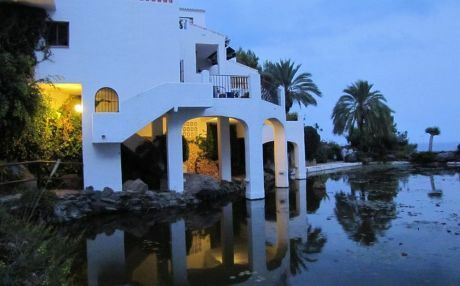 It is one of the main tourist destinations in Spain, and perfectly combines the sun and the beach, the natural parks and the gastronomy of the white Andalusian villages. Its privileged subtropical climate and its more than 320 days of sunshine per year make Nerja the ideal place to spend your holiday. 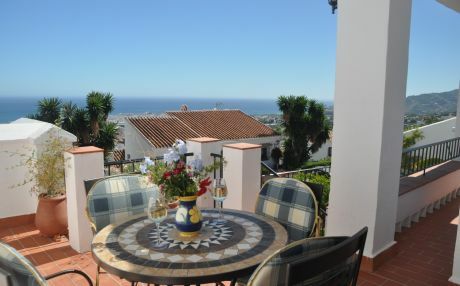 Frigiliana: this charming village 7 km from Nerja is considered one of the most beautiful towns in Spain. 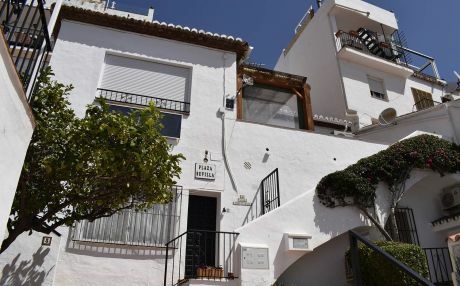 It is a typically Andalusian village, with white houses, narrow streets and cobbled streets full of flowers that decorate every corner, which is a totally must see for visitors. Acuéducto de Águila: located in Nerja, we find this beautiful aqueduct built in the 19th century on some spectacular cliffs. We can combine this visit and get to Acantilados de Maro and enjoy nature in its purest form. Cuevas de Nerja: these caves are located in Maro, only 4 km from Nerja, and comprise the most important archaeological site in Spain. Over its 35,000 m2 you will enjoy several galleries full of stalactites, stalagmites and rocks of whimsical shapes. Aquavelis: there is no better way to spend the hot summer days than with a refreshing day at the wonderful Aquavelis water park. Large slides, wave pools, children's areas and lots of fun. 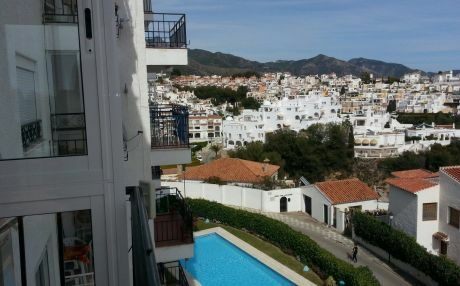 Are you going to travel to Nerja, but have no place to stay? 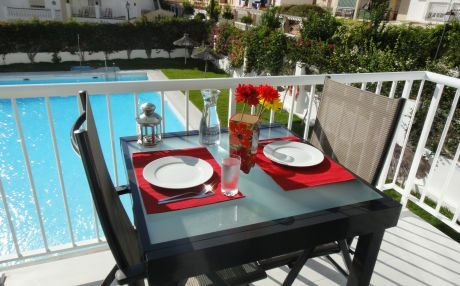 Certainly, one of the most difficult decisions when preparing a trip is choosing accommodation. 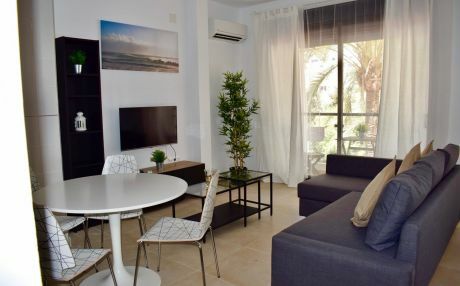 In these touristy cities, the offer of holiday accommodation is very wide, and deciding where to book is not always easy. 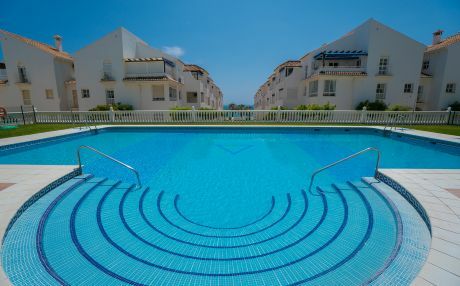 Tripkay has a large number of holiday rental apartments in the best places of Nerja. 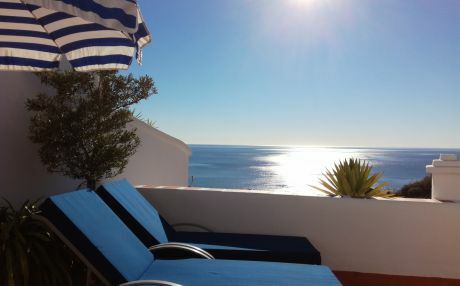 Whether you need Wi-Fi connection available, a pet-friendly or a beachfront apartment, Tripkay has the largest selection of tourist accommodation in Nerja. You just have to perform a search on our website and choose the one that best suits your needs and those of your family. Do not wait any longer and book now.